The second television debate of the Presidential election campaign has seen the candidates clash on their records, and their ideas for the office. 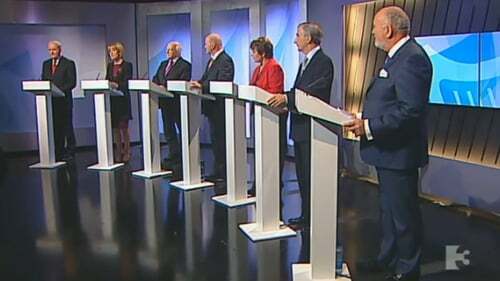 The seven candidates took part in the debate on TV3. Gay Mitchell again attacked Martin McGuinness over his membership of the IRA, but it was host Vincent Browne who really struck home, producing a number of books claiming Mr McGuinness was a member long after 1974. 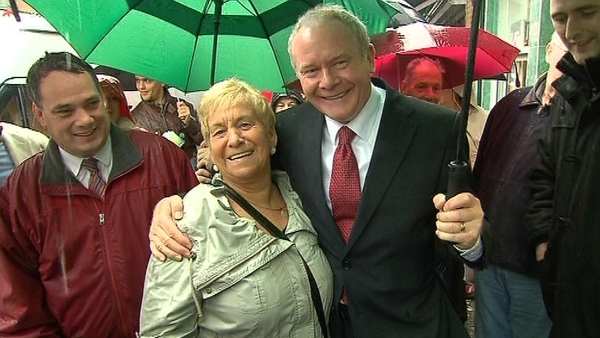 Mr McGuinness said people were not interested in the issue and would judge him on his overall record. Dana Rosemary Scallon claimed the constitution needed to be protected from encroachment from Europe. 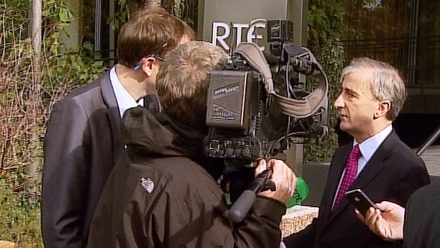 Michael D Higgins insisted the people had the final say on any change to the Constitution. Seán Gallagher said people were not interested in the past, and that they wanted to know what the candidates thought about the future. Under attack for her membership of boards, Mary Davis said she had been asked to join them because of her expertise and leadership skills. 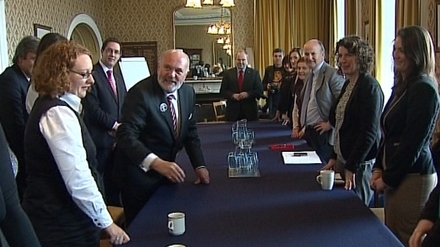 And David Norris robustly denied he was ambivalent about child protection, insisting his conscience was clear. Earlier, Ms Davis has accused Fine Gael of using polling companies to research attacks on her. She claimed politicians in the race were reverting to type in using negative tactics. Launching her campaign in Dublin, she pledged to ask the Government to bring the office of President under the terms of the Freedom of Information Act. Ms Davis also said she would publish an annual expenditure report for the Áras and seek suggestions from citizens about how to serve them best at home and abroad. On the topic of expenses, Senator Norris said he had no problem with the full disclosure of earnings and expenses and would publish the figures if asked. Speaking during a visit to Cork city this morning, Senator Norris described himself as an open book. He said he has his P60s and is tax compliant. Most of his income, he said, comes from his pension from Trinity College and his Senate income. He added that he has no stocks, no shares and is not a company director. Meanwhile, Mr Mitchell has defended his challenge to Mr McGuinness to make public details of his earnings. Mr Mitchell said questions hung over Mr McGuinness and raising the issue of his income and receipt of only the average industrial wage was valid and proper. Asked about his salary and expenses, Mr Mitchell said there is complete transparency and clarity surrounding the issue in his case. He said expenses claimed as an MEP are on his website and his salary as a member of the European Parliament amounts to €93,000. Mr Mitchell added that expenses he claimed as a TD have also been published. Responding to criticism of his remark in an interview about jumping off O'Connell Bridge if asked to smile more, Mr Mitchell said it was part of Dublin street vernacular and not about suicide. Yesterday, Mr Gallagher said he received €8,000-€9,000 a year from Inter Trade Ireland, and that he donated his director's fee of €11,000 from FÁS last year to charities. Mr Gallagher also said he did not receive any fees or expenses from his membership of the board of Drogheda Port company. Mr Gallagher said private income was not relevant but he was prepared to publish his P60. There was veiled criticism of Martin McGuinness by Taoiseach Enda Kenny and Fianna Fáil leader Micheál Martin in the Dáil today. There is a fragility about the implementation of the Good Friday Agreement by the Northern Ireland Executive, the Taoiseach told the Dáil, when members of the executive leave it. Mr Martin said it is a curious aspect of the Northern Ireland Executive that people can come and go. "It is like yourself saying you are going to take two months off from being Taoiseach so that you can campaign somewhere," Mr Martin said. The Taoiseach said when people are appointed to positions on the executive, they are generally expected to complete their remit and their responsibilities. 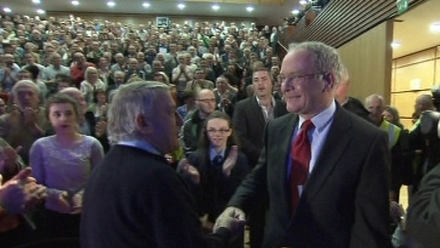 Neither the Taoiseach nor Mr Martin mentioned Mr McGuinness by name.